Hurl Smart Week captures the passion for camogie right across Ireland. Clubs compete to play at Croke Park but also to celebrate the wonderful game of camogie. Its also a great opportunity to support the Dream Bike campaign for girls. Read the full press release below..
Today, the Camogie Association announced the 5th annual ‘Hurl Smart Week’ in partnership with ChildFund and the Dream Bike Initiative. Running from June 6th-12th, Hurl Smart Week aims to increase activity levels of all ages, male and female by providing a programme of events in local camogie clubs. 82 clubs nationwide are signed up to take part in the week. 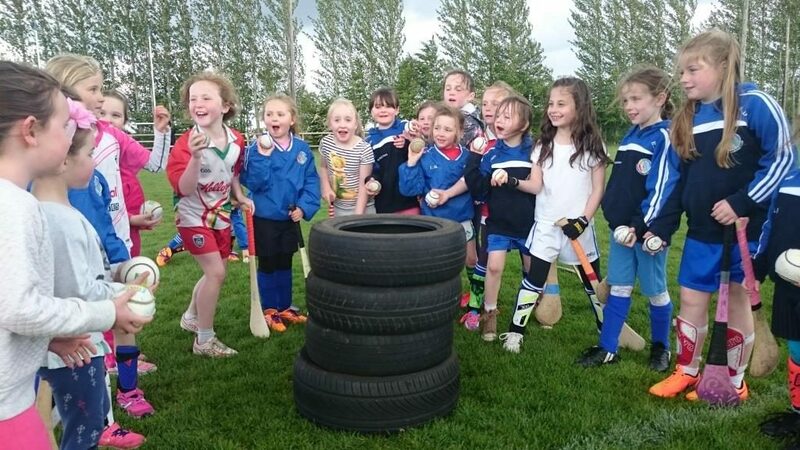 Clubs will run a number of events with the aim of getting everyone active through Camogie/Hurling activities such as relay races, obstacle courses, wall ball challenges, target practice challenges, nutritional talks etc.. The Dream Bike Campaign is a partnership between The Camogie Association and ChildFund to empower girls in developing countries.